2 way switching means having two or more switches in different locations to control one light fitting. They are wired so that operation of either switch will control the light. This arrangement is often found in stairways, with one switch upstairs and one switch downstairs or in long hallways with a switch at either end. Switches are usually connected using a three core cable. If there are more than 2 switches on the circuit, e.g. over three floors on stairways, sometimes ‘intermediate’ switches are used in between the other 2-way switches (e.g. on the middle floors). Once you know how, 2-way switching with LightwaveRF is easy. 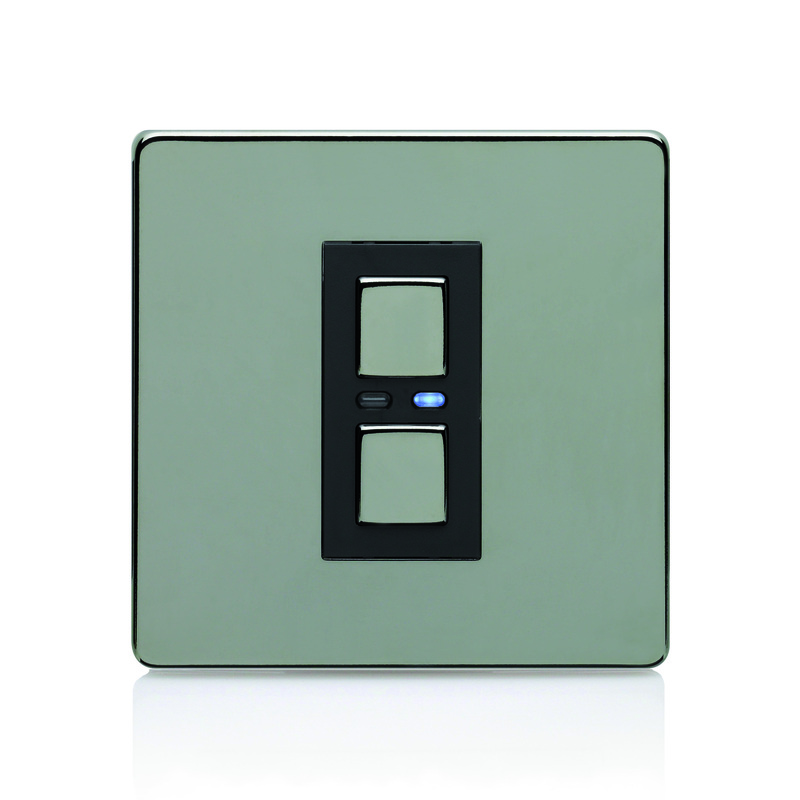 A standard LightwaveRF dimmer always needs to be present on the circuit (this must be installed first). Once in place, a LightwaveRF 2-Way dimmer can be added to the circuit using a 3-core cable as in a standard 2-way circuit, therefore, there is no need to re-wire. Up to six 2-Way dimmers can be connected to one standard LightwaveRF dimmer on the same circuit. These can also be ‘daisy chained’ together to cover multiple floors and replace the need for intermediate switches.